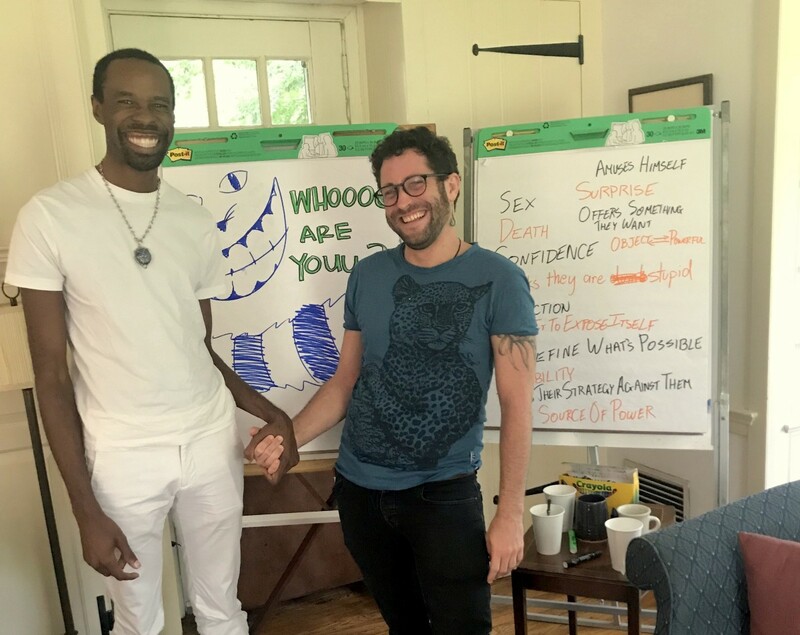 Zein Nakhoda interviews Matthew Armstead (Training for Change) and Joshua Kahn (The Wildfire Project) about “Radical Faithfulness in Action,” a program at Pendle Hill exploring intersections of grassroots organizing and spiritual practice. 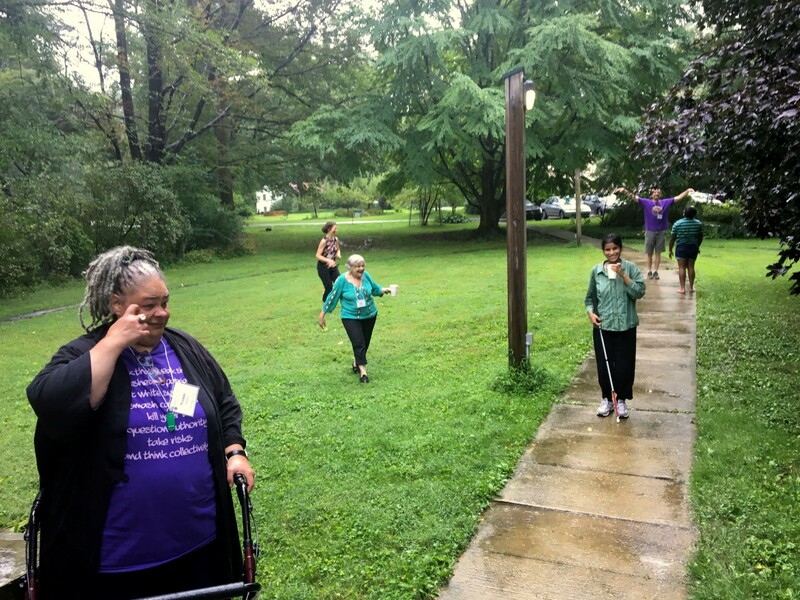 The program, built for organizers and spiritual leaders, includes three campus residencies. Last year, Matthew, Lead Facilitator, invited Joshua to co-facilitate one of these retreats. Here, they talk about the program, themes that emerged, and experiential education. Radical Faithfulness in Action is being offered in 2019 and accepting applications until April 15. ZN: What questions does Radical Faithfulness in Action seek to tackle, and how is the curriculum structured? MA: The series looks at three main themes. 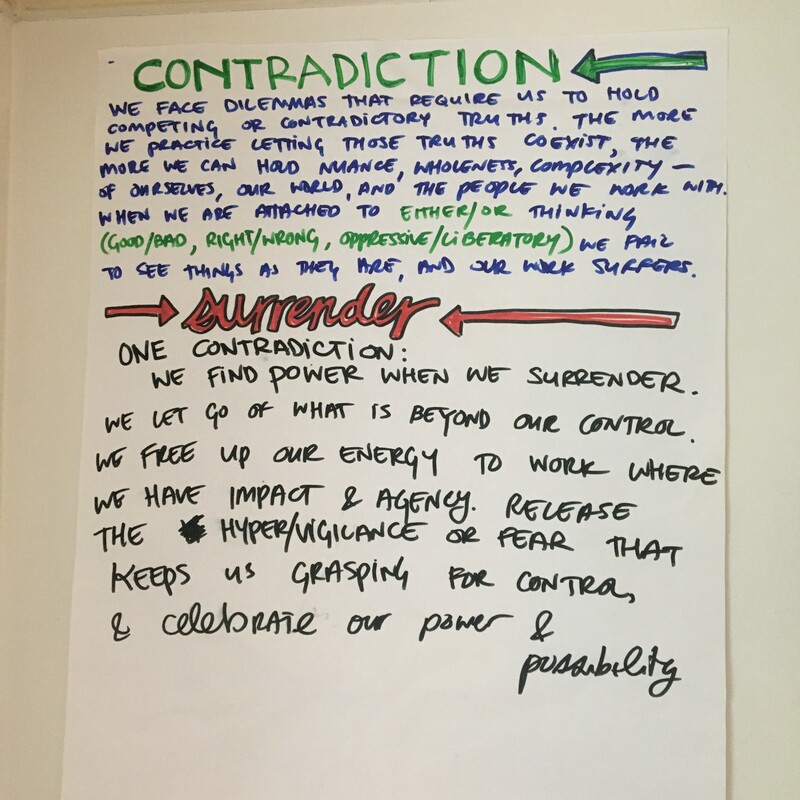 The first is “re-connection,” asking, ‘where are we connected or disconnected in ourselves, within our communities, and with the Earth?’ We asked, how can we strive for greater connection as a resource, in times of urgency — not new to activists! — where many things are pulling our attention, making it hard to stay connected. Re-connection was also about recognizing and interrupting patterns of behavior, especially for people who move really quickly in their work. The second piece, where Joshua co-facilitated last year, focuses on “resistance” and the “trickster role,” which I’ll let him share more about. The third piece looks at “resilience” with a framework of “death is not an ending.” It’s about building a relationship with death, asking what change comes from death, inviting the natural resources of death as they show up in our campaigns, movements, and organizations. How can we be both pissed off at death — climate change, ecological disaster, the era of the Trump presidency — and also have attention for what’s emerging in the face of this death? ZN: Can you share more about the retreat you co-facilitated together, on “resistance”? JK: Part of why I was interested in accepting the invitation to join was to question some limiting assumptions of activist culture. When I became an activist I learned to see the world in stark terms of “right” and “wrong.” That binary way of seeing the world doesn’t often serve us, especially in this cataclysmic time of change on so many levels. We need to support activists to embrace contradiction and multiple truths. For example, Matthew described the cycles of birth and death — we’re in one of those points in time where an empowered apocalypticism of the moment requires spirit. For the session I joined, we used the archetype of the “trickster” to understand that. Tricksters embody contradiction — they are not necessarily good or bad, but they unveil or unmask something that needs to be revealed. It proved a useful frame to understand our political opponents — they are less static enemies that need to be defeated, but are playing a more complex role. We explored Trump as trickster; he’s not just a horrible force, but someone who is bringing to light the old order that needs to be overturned. We also explored what can we learn from embodying the trickster role ourselves. How can we be playful and not take ourselves too seriously while still taking the work seriously. JK: As people shared trickster stories, I noticed a discomfort around certain themes, such as “seduction” and “surrender.” There was a disavowal of parts of the human experience because activist culture often says it’s bad. Seduction came up in this way — people initially named it as counter to our values — that it was manipulative. We were then able to explore seduction as a positive trait and a tool that the trickster can employ. We should try to make the movement we’re building seductive! This also happened around surrender — activists don’t like to surrender. But when we’re talking about spirit, it’s often surrendering to something larger than yourself. MA: At a certain point, we broke out into identity caucuses by race, and reported back to each other. Right afterward, it started raining. I felt that the rain was a part of our work somehow, but didn’t immediately know exactly how. It came to me right as we were coming back from race caucuses. I had people gather by the door and said, “We did this intentional sharing about race. You may be holding on to some things you wish to let go of — so go outside and let go of it! Let the rain wash it away.” Folks were resistant at first, then eventually ended up outside. Someone who groaned at the idea turned to me and said, “I really like this. I like being in the rain.” The Earth became a resource for us — something we could surrender to. ZN: You both facilitate very experientially — the approach we sometimes call Direct Education. How did you apply this approach? How did it support your inquiry? JK: Connection with spirit is often personal — it’s about navigating one’s inner landscape and experiencing the breadth of existence. Experiential tools lend themselves toward our inquiry. For example, we did a somatic experience around physically being held, to explore surrender. From that experience in the room, we elicited both the comfort and discomfort around it. It allowed us to be in that inquiry together. It’s a counterweight to how political education is often done in the North American Left, which is about putting a discernment or judgement on everything. JK: Also, storytelling is often part of the experiential cycle as the “experience” — it’s used to reflect upon, generalizing toward lessons that gets put into action. I usually use real life stories or examples, but what was interesting about this workshop is we used more folklore, relying on archetypes. MA: Yes, using stories that have stuck around — mythology — which is community wisdom that’s been distilled. There is something about those stories: general characters with emotional arcs that tap into a broad theme that was very useful. Matthew Armstead is a cultural organizer in Philadelphia, PA, USA, and works at the intersections of art, spirituality, and social change. He’s a Core Trainer at Training for Change. Joshua Kahn is a social movement facilitator who has trained thousands of activists across the globe. He’s the Executive Director of The Wildfire Project, and facilitator/ action-coordinator with the Ruckus Society.